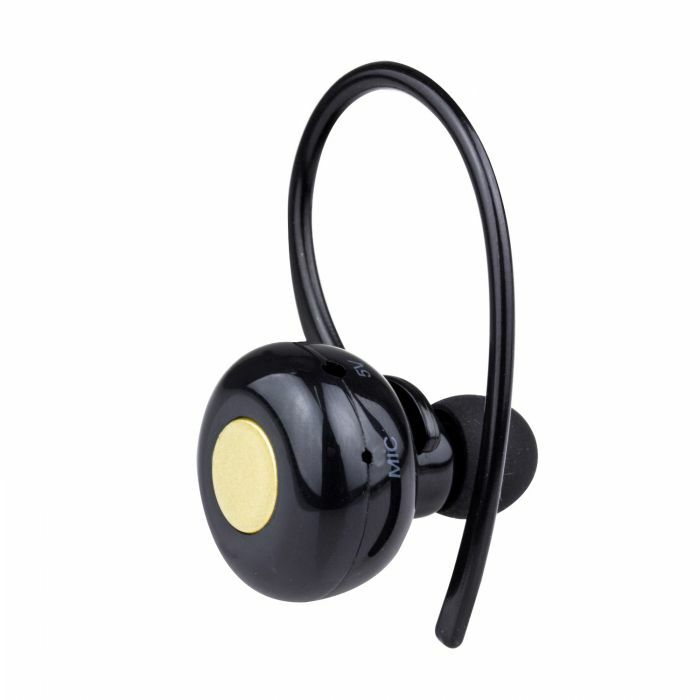 High quality performance stereo Bluetooth headset, small, lightweight and stylish. High-quality silica gel ear cap and it is comfortable to wear this headset for long time. Attach with the ear hook, which can perfectly protect your headset from dropping. Compatible with all Bluetooth enabled devices such as Tablet iPad mobile phones, iPhone, Samsung, Xiaomi, Huawei etc. Press and hold on/off button until red LED and blue LED alternately flashing. This headset is now ready to be paired. Set your phone to search for the Bluetooth device. Select this headset from the result list. If the pairing is not succeeded, please repeat the steps above. Blue LED flashes when the pairing is completed.